Yard Signs. Wall Signs. Window Signs. Signs are used to convey important information to people so they can make appropriate decisions. Because signs need to be easily seen, they are generally much larger than hand-held documents and are typically affixed to a support, such as a wall, post or other structure. Signs often contain text as well as images to convey information. Signs can convey useful information about services and facilities, such as maps or directories. They can also explain procedures, such as what course of action to take in an emergency. In addition, signs can offer important reminders, such as the need to wear safety glasses or non-slip footwear. Signs can provide arrows, symbols, and guidance to lead people to certain places, amenities or other key areas they are seeking to locate. Signs can indicate specific places using names and numbers, such as buildings, rooms or floor designations. Signs provide an affordable way to advertise a business offering, such as a product, service or event. 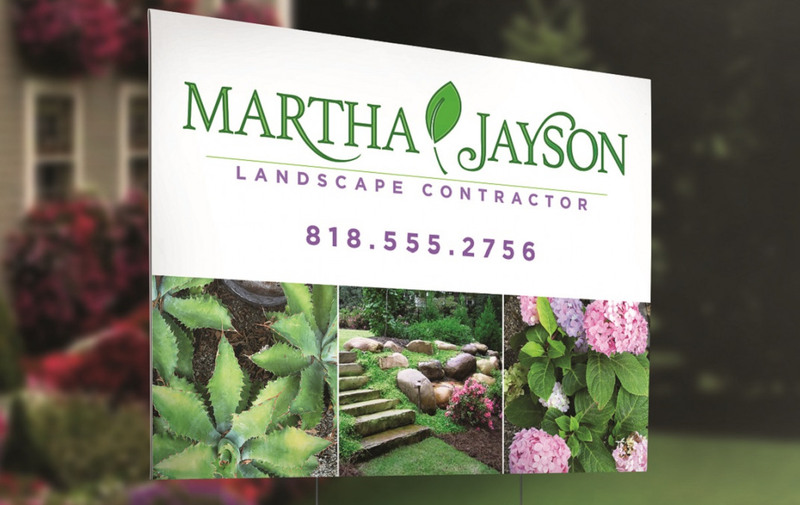 A landscaper or remodeler may use a yard sign to draw attention to a recent project. Likewise, a retail store or restaurant may use a wall or window sign to attract and influence customers. Depending on the project, Formax can print custom signs on paper, cardstock, vinyl or corrrugated plastic. If a mounting substrate is needed, the choices include foamcore, Sintra®, and styrene.